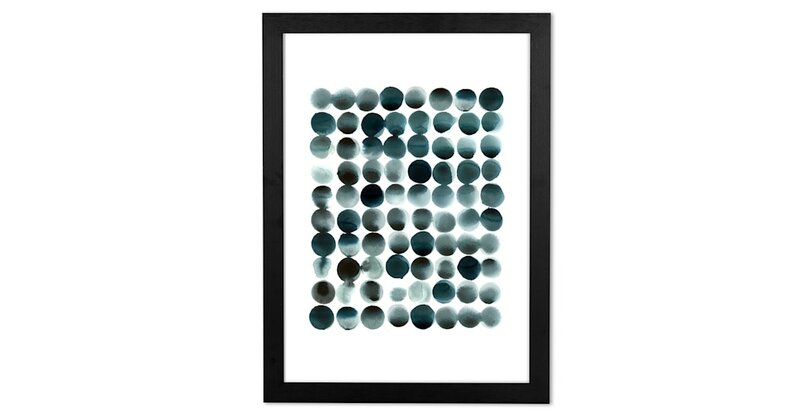 With this Monochrome Dots by Rebecca Hoyes print, your walls will thank you. Bold and fluid, the striking colour contrasts and shapely patterns will uplift your space with Rebecca Hoyes’ signature style. Perfectly centred in a sleek, modern frame and fitted with metal hanging hooks, this print is ready to be popped on your wall. You can create the gallery wall of your dreams in no time. Known for her confident use of colour and painterly design, Rebecca Hoyes is inspired by mid-century ceramics and furniture. Collaborating with MADE for a collection that includes, rugs, cushions and more, we love this framed print for it organic, fluid shapes and earthy tones.